I've decided that between working on your requests and other personal exciting projects (coming soon! ), I'll also do somethig fun, which is the july photo a day challenge! I know I'm late to the party since it's already past mid-july, but I'll do it anyway! So check back for the photos I'll be uploading, and if you're also doing a challenge on your blog, don't hesitate to leave a link in the comments so I can check it out! 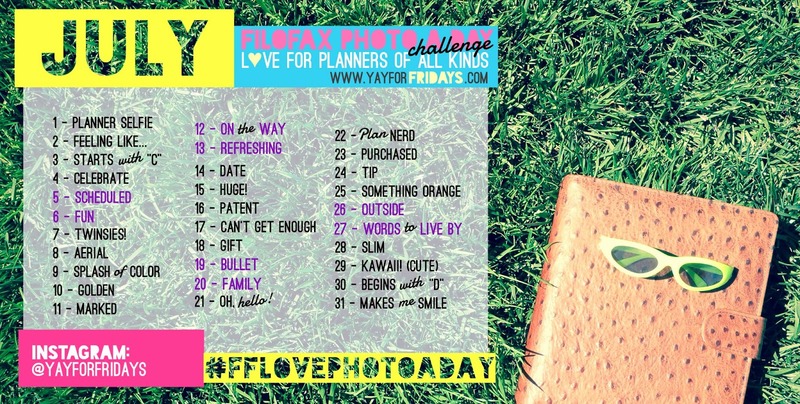 Oh, and btw, I got the challenge from Yay For Fridays, another lovely blogger, be sure to check her out too!